The American Academy of Pediatrics, California Chapter 3 is the countywide coordinator for the First Steps program. AAP-CA3 is dedicated to achieving optimal health (physical, mental and social) for all children (infants, children, and adolescents) in San Diego and Imperial Counties, and is dedicated to supporting its’ membership in achieving this vision. Visit website. What’s included in a visit? Information on what to expect during your prenatal visits. Setting goals for the future (e.g., continue education, find employment or childcare). Information on child development milestones and behaviors. Help with how to breastfeed and care for your baby. Who is a Family Support Specialist? Family Support Specialists are dedicated to working with you and your family. All Specialists are trained and knowledgeable about resources in the community. They can help you set-up appointments, like prenatal and well-child visits, and help you get the most of going to the doctor. This is a voluntary program. You have the option to participate and can stop at any time. We have had other families share that even though they were unsure about enrolling for the program, they were later glad they did. What if I’m really busy? We understand you have a lot going on, especially with a baby on the way! The family support program is flexible and can schedule visits around your busy schedule. Family Support Specialists can meet with you at home or wherever is convenient and comfortable for you so you don’t have to travel or take extra time from your schedule. What if I’m not sure about participating in the program? This is a voluntary program and there is no pressure for you to participate. Please call and speak with one of our Family Support Specialists. FIRST STEPS helps parents raise healthy, happy children. 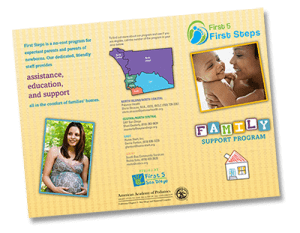 First Steps is a no-cost family support program for expectant parents and parents of newborns. Will talk about what to expect at each stage of your baby’s growth. Will help you learn fun and interactive ways to help your baby grow and learn! Will provide you with tips and tools for parenting. Support you in reaching your goals. 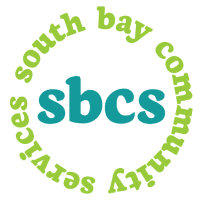 Are trained and knowledgeable about resources in the community and can provide education and support to help you raise healthy children. Come from diverse cultural and professional backgrounds.